Four days in Paris last week refuted the idea that haute cuisine in France has run out of steam. Every dinner was different and innovative, but a theme that seemed to run through the evenings was the introduction of Asian spices. This leaves me wondering whether the traditional matches of wine and food still stand up in France or we need to rethink. This question has struck some producers. François Milo of the producers’ association in Provence says that, “The mondialization of cuisine has benefited rosé. In France there has always been a fixed idea of which wines (red or white) accompany certain stages of the meal. But it’s difficult to pair red wines with international foods. I think that for the future, rosé is a vin de liberté.” I did not go so far as to try rosé – for one thing there aren’t that many rosés with enough flavor interest at this level, and for another choices on restaurant lists are very limited – but I did vary my usual thinking on suitable combinations. Turbot in coconut sauce was a definite challenge the first evening at restaurant Auguste. In fact, I found the coconut influence a bit too strong for the delicacy of turbot. Overall this seemed to offer a similar challenge to dishes of stronger fishes prepared with vanillin a few years back. Then we had gone for a white Côte de Beaune to match: this time we went for Louis Michel’s Montée de Tonnerre 2012 from Chablis to find a bit more contrast. The Chablis didn’t have quite enough minerality to cut through the coconut, but it resisted well. Actually I liked it better than the Valourent of the same vintage, tasted a few days earlier, which seemed to have a surprising amount of forward fruit: the Montée de Tonnerre at least had intimations of minerality, although I’m not sure how far they will develop with time. There were two fish dishes at l’Arôme: légine australe on asparagus, and turbot on rhubarb. (The first was unknown to me but tuned out on investigation to be the same as Chilean sea bass, a.k.a. the Patagonian toothfish, except that it apparently comes from waters off Africa.) These were quite strongly flavored dishes, too strong I felt to match white Burgundy, but Jonathan Pabiot’s Pouilly-Fumé Predilection from 2012 provided a brilliant contrast. This is very much the New Pouilly-Fumé, all delicacy and elegance: in fact, the Anima Figure (my companion) described it as ethereal. (The antithesis of New World Sauvignon Blanc, demonstrating wonderful range for the variety, if raising the question of its true typicity.) A course of chicken oysters and gambas was less successful. 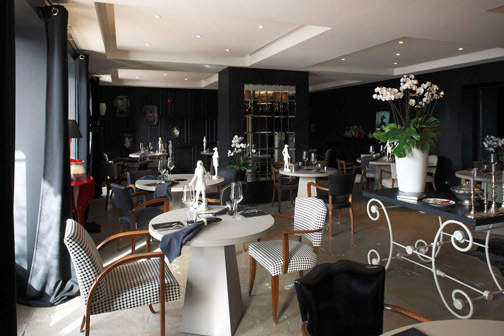 Friends in Paris had managed to obtain a table at l’Astrance for the next evening. (This had required 35 phone calls on the day booking opened.) Choosing wine is a little tricky since the menu is a surprise, but on the basis of some hints from the sommelier, we decided that a light red would be most appropriate, and went for Domaine Dujac’s Morey St. Denis 2002. 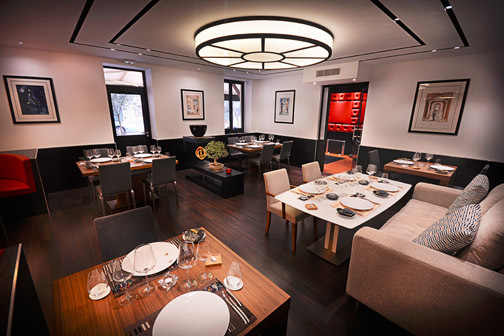 (The wine list at l’Astrance is extraordinarily fairly priced, a big contrast with most other restaurants in Paris, although you can usually find some wine where the sommelier has a special connection and price is more reasonable.) The red proved extremely versatile, going well with the famous cake of fois gras, langoustine with Asiatic influences, and légine australis again. (They were a little put out at l’Astrance to discover we had had the same fish the evening before at l’Arôme: apparently there are only five boats fishing for it, one from France, which presumably supplies both restaurants). Curiously, the final lamb dish which should have been the best match for the wine didn’t quite come to life, although the wine showed a wonderful combination of crystalline brilliance reminiscent of Volnay and femininity of Chambolle Musigny. Fighting well above its communal level, you might say. Finally abandoning restaurants with names starting with “A”, our last evening was at Jean-François Piégé. The main courses were hommard bleu (cooked in blackcurrant leaves) and turbot in a curry sauce. One of the preceding dishes was asparagus in a sauce in which I thought I also detected curry, but which turned out to be saffron pistils. The wine was a no-brainer as there was a strong selection of Raveneau premier cru Chablis at reasonable prices. We had a Vaillons 2005, which turned out to be noticeably richer than usual for Raveneau, but still showing that characteristic anise and minerality on the back palate. Possibly a leaner year would have been an even better match for the food. I believe l’Astrance started the move in Paris to surprise menus. I was struck by the fact that three evenings out of four we had a surprise in at least some courses. At both l’Arôme and Piégé, you choose your main course(s) – you can choose either one or two from a short list – but the starters and desserts are a surprise from the chef. It’s a neat solution to the difficulties of providing many choices at every course which must simplify issues like food wastage and buying-in for the restaurant. Of course, you have to be a top-line chef to pull this off. A consequence is that it does make it more difficult to find an appropriate wine. Wines by the glass chosen to match the food are offered by most of the restaurants, but my past experience is that this can be a bit erratic in providing interest in the wine. 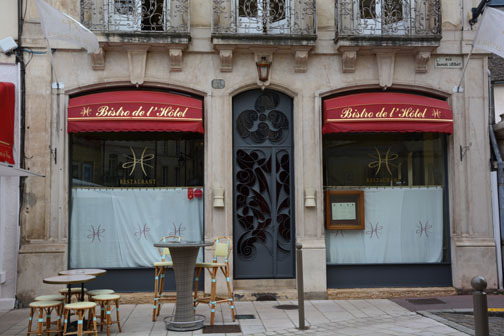 On the last evening at Piégé, I said to the maitre d’ that a series of interesting dinners seemed to put paid to the idea bruited a few years ago in the Anglo-Saxon press that haute cuisine in France had died a lingering death. “I would have agreed with the idea five years ago,” he said, explaining that the rush of innovation is a revival of the past few years. Granted that there are similar influences, each interpretation is different: I wonder where it will go next.